March is predictably unpredictable with blustery weather (“in like a lion”) and deceptive mildness (“out like a lamb”). It is the time of anticipation and false hopes. And surprise. After a month of snow cover and a few meltingly mild days, our garden ground is finally visible, and it is green! 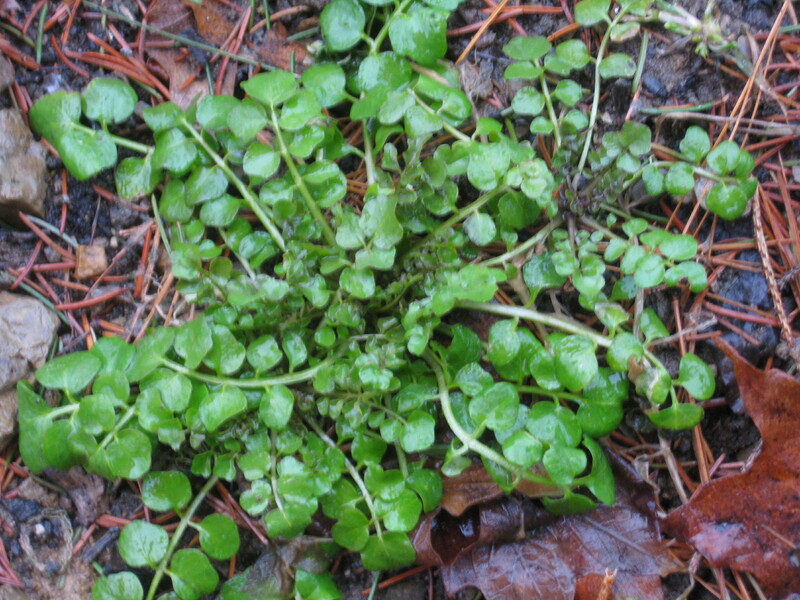 Hillocks of the vibrant harbinger of spring, chickweed, emerge among the twigs and mud. Salad time! What did you say? 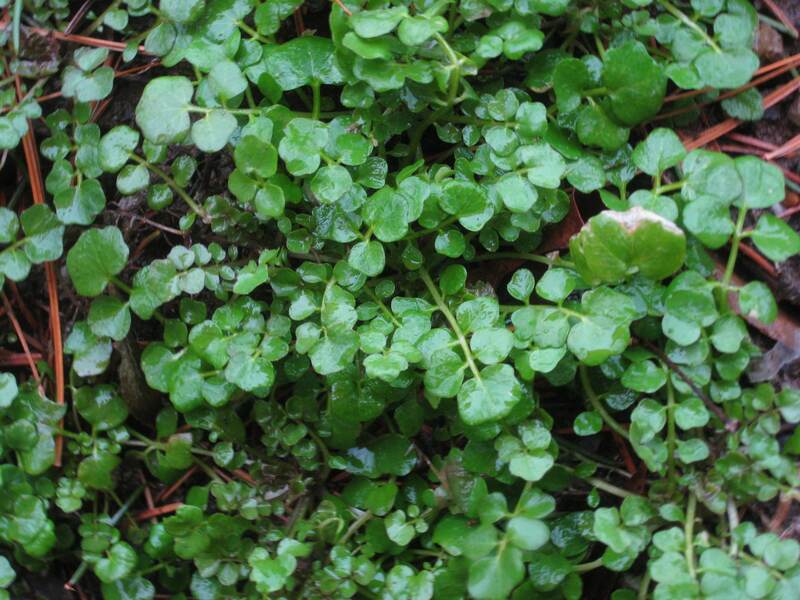 There are so many types of safe-to-eat plants out there, basically free food: dandelion (coming soon), purslane, lamb’s lettuce, and other “weeds.” We have wild ginger somewhere in our woods. Ramps fall into the same category by the way. My grandfather and I used to do “down to the crick” to pluck them for a delicious feast. 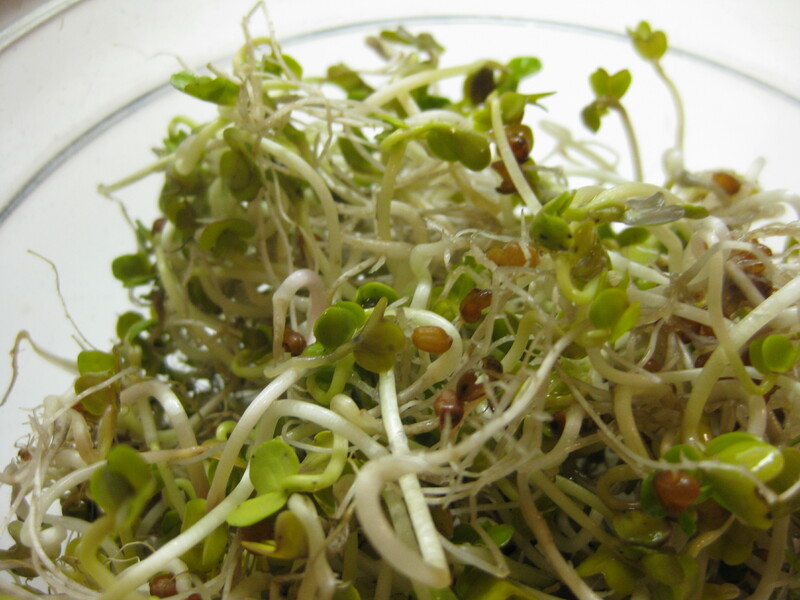 Meanwhile in the pantry, we are sprouting radish seeds for quick consumption. They add a peppery punch to salads and cooked vegetables and are easy to grow at home. Tiny spring greens pack a punch to the palate, and now that the first stirrings of chives and lovage in my pot are peeking through, spring can’t be far behind.